More than half of the LIRR's 19 escalators are shut down due to safety concerns found during a review following the death in March of a woman on an escalator at the Lindenhurst station. 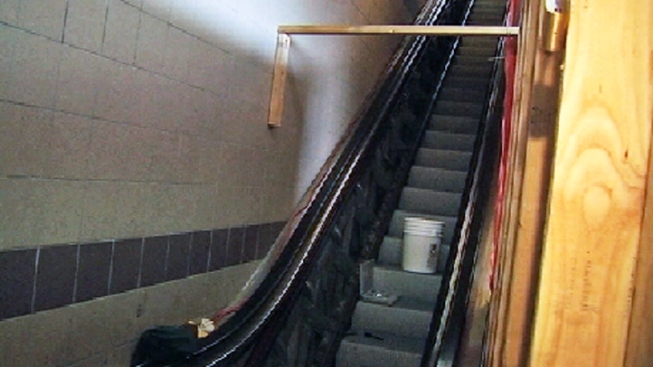 Workers have been making repairs and installing new safety technology on 10 of the 19 escalators. LIRR said the escalators would not be put back in service until all new safety features were working properly. The safety overhaul was prompted by the March 13 death of Irene Bernatzky, an elderly woman who was asphyxiated after her clothing became entangled in the stairs of an escalator at the Lindenhurst station. To prevent similar accidents, the LIRR is installing side safety sensors, called skirt switches, designed to shut down an escalator if someone's clothing gets caught between the side wall and the step. The technology has long been standard for the 178 escalators in the subway system maintained by New York City Transit. A spokesman for the Long Island Rail Road suggested skirt sensors were absent from the elevator walls along the suburban commuter line because designers followed a different building code. "I can't specifically to what the Transit system has done, but I can tell you there are different codes in effect in the city," said LIRR spokesman Joe Calderone. "We actually follow the state code." New York City building code requires skirt switches be positioned every 10 feet along an escalator wall if the escalator is 20 feet or longer. State rules are less strict, Calderone said. "When these LIRR escalators were installed some 20-odd years ago, they all met the code that was in existence at the time," he said. LIRR said one of the escalators being repaired, in Hicksville, has been reopened while the work continues on the other nine. The LIRR plans to have all or most of the escalators at eight LIRR stations working by September. Of the eight stations, five have working escalators. The total cost of the repairs is expected to hover around $2 million.